The Atlantis Show is now reopened after a lengthy refurbishment. 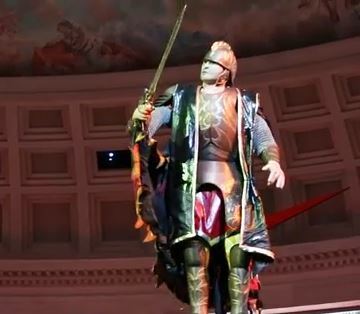 The show is in the center of the Forum Shops of Caesar’s Palace. You can enter the forum shops in many places but if You enter in the very front (not from the Caesar’s Casino), You will find The Atlantis Show in the middle. The show includes: Fish, moving, talking and interactive statues and even fire. The show is now modernized with more believable effects. The show starts daily at 11am and runs every hour. Thunderstorm in Miracle Mile Shops is Free Las Vegas Entertainment. Sometimes, You get what You pay for, right? This attraction is not going to knock You off Your feet but it is worth stopping to look at if You happen to be in the Miracle Mile Shops anyway. The attraction is located about half way around the mall toward the back. You will find what looks like a pond that is roped off to look like a fishing pier. The setting is beautiful actually and the show is also but I am not going to say it is like the Mirage Volcano or the Bellagio fountains, but its kinda cool. The show starts with light rain, then fog, then heavy rain, then lightning and thunder. It last just a few minutes but it gives up a mist that really feels like the real thing. It happens every half hour when the mall is open. Pinball Hall of Fame is a Free Las Vegas Attraction. Not many People have ever heard of it but most Everyone has someone they are traveling with that is interested in seeing it. The Pinball machines at this museum can be played or just looked at. It is very interesting to see these machines if You grew up in the pinball era, long before video games. The machines You will see will bring back many memories and to the pinball lover this is a priceless experience. Rio Show in the Sky is Free Las Vegas Entertainment at the Rio, west of the Las Vegas strip. Free is always good but not always great, which is the case with this show. The show is adult rated but it is in the casino where kids should not be anyway. But on any given night You can see kids with their parents stop in the casino to watch it. You can get in this show if You pay 15 dollars, that would be fun if You are really drunk. I do not think that the Rio Hotel and Casino gets People to come to their property to see this show, its more like if You are there and playing a slot machine, You might look up and watch it. Fremont Street Experience is Free Las Vegas Entertainment that should cost hundreds of dollars per person. 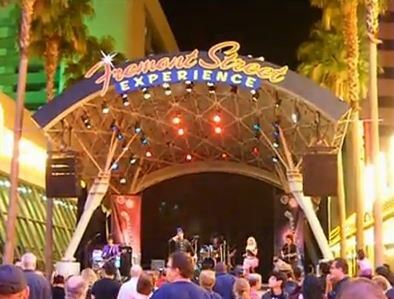 The Fremont Street Experience is in downtown Las Vegas and is everything that is under the canopy. The canopy was constructed back in the mid 90’s and covers Fremont Street that used to be very dangerous but now its a huge sidewalk with kiosk and entertainment stages and a zipline. The Zip line is the newest addition, called Slotzila. The free nightly music and light show is something not offered anywhere else in the world. If You visit Las Vegas and are going to stay on the strip, take one day or night to visit the Fremont Street Experience, You will be glad You did. 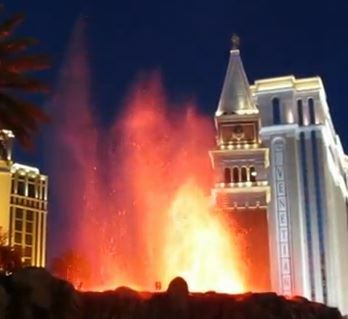 Mirage Volcano Show is Free Las Vegas Entertainment at center strip. Mirage was the first mega resort on the Las Vegas strip and was the first to offer multi million dollar free entertainment. Of course, others had to follow, but You can thank Steve Wynn for getting this free Las Vegas Entertainment started. The shows are at 8pm to midnight daily, every hour on the hour. There are lots of good viewing points for this show, of course up close is great but You can get a good look even across the street from the Venetian Entrance. Some rooms at the Mirage have a great view even from Your bed. Circus Circus Big Top is Free Las Vegas Entertainment, but it will seem like You are stealing. You probably already know that Circus Circus is a Hotel Casino that caters to families and this free entertainment proves it. The Big Top has acrobats, dancing bears, dancing dogs and even cats. The arcade on the second floor of the casino has plenty of games of chance (those are not free) that are free to watch. The free shows start daily at 11am and go on all day long. Did You know that every time these pumps fire up the water jets for this show it cost more than 10,000 dollars? Don’t worry Bellagio can afford it. 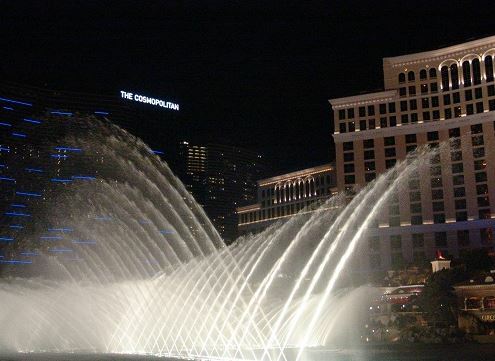 The Bellagio Fountains is a must see Free Las Vegas Attraction. You can see it over and over and never see the exact same show twice and the night and the day show are really like night and day. A computer system controls every drop of water to sync with every beat of music. The show is in Lake Bellagio in front of the Bellagio Hotel. You can get a view of this show from so many areas its almost impossible to not get a good view. This free Las vegas Attraction is one You will most likely see even if You do not intend to. It might be in a cab ride when going through Las Vegas Center Strip or just walking from one casino to another, especially going in Planet Hollywood, just turn around and take a look. When You return home People will ask You what You thought about the fountains.